Produce tech-building programs, communities and events through rigorous communications and team-wrangling. Early adopter of social media. I love to talk. Writing and speaking highlights here and detailed list here. I was in a book! Specifically, quoted several times in Foundry Group’s Accelerate. Advisory board member for Women Who Tech Startup Pitch & Competition and startups in Hackers and Founders SV Co-Op. Some reference quotes from my Mozilla colleagues here. Joined a small crack team of program, communications & event pros to design programs and communications to engage our amazing employees and support our execs. Designed a 4-day new hire cultural onboarding program driving a measurable (9-point) lift in employee engagement. Manage monthly speaker series featuring experts in various product, technology, policy and business across our various global offices. Previous speakers include Kevin Kelly, Tim Wu, Laszlo Bock, Mikko Hypponen and Nonny de la Peña. Launched weekly newsletter serving our 1100 staff worldwide, attaining 65% open rate. My role in part was to ensure these efforts are syncing optimally on a project and program level to provide a more effective developer experience. During the 1.5 years I spent in this group, we grew our readership from roughly 1.8M unique monthly (typically developer) visitors to 4M uniques per month. 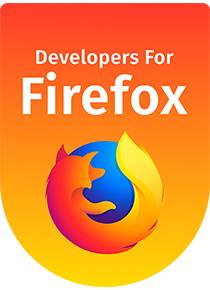 Conceiving, designing, launching, promoting and running our pilot MDN Fellowship Program intended to attract advanced web developers to the Mozilla mission and engage them in our Learning initiatives intended to make web knowledge scale. For the 5 slots accommodated in the pilot, we received 151 applications representing 32 countries. Managing developer reference phone requirements and communications across various stakeholders to ensure phone has proper software builds, documentation and supporting communications for retail channels. Currently targeting 5K developer phones for first quarter.Working with project leads to develop project-specific KPIs and reporting them up to various levels of management. Planning cross-functional meetings and activities for 60-staff (+ ~100 volunteer) division to foster and deepen collaboration across groups. Supporting the local developer community by hosting meetups and educational events. WebFWD was Mozilla’s program supporting startups around the world. I grew the program from 2 teams to 4 classes of 8; the 4th class ending November 2013 attracted over 100 applications. Establishing ties and more formal partnerships with tier-1 service providers, VCs, investor groups and accelerators.Creating and cultivating 30+ global volunteer evangelists and even more top technology mentors. Supporting 33+ teams representing 4 continents. Select teams received follow-on funding from Greylock, TechStars and 500 Startups.Managing all communications and marketing (events, meetups, blog, social media) as well as presenting at events including TEDxSanLuisObispo, Silicon Valley Comes to the Baltics, and the HTML5Dev and ForwardJS conferences. Obtained favorable industry coverage from leading app review sites including Appolicious and AppCraver; as well as Mashable, Urban Daddy, Silicon Valley Business Journal and Ubergizmo; and premium demo spots at ad:tech New York and the SF AppShow. Produced live Twitter event featuring broadcast 2 TV sports celebrities and Bowl Game promotion with leading young male site, BroBible.com (1.7M uniques). Tripled Facebook and Twitter fans/followers and opt-in newsletter list. Developed corporate repositioning, including sales enablement, PR and corporate communications. Authored company blog, feature bylines, press releases, and executive talking points for events and media. Gained coverage from Inc., CNET and Reuters plus leading social media publications including The Next Web and Mashable. Rehauled product data sheets, sales and event presentations, case studies and website messaging. Onavo. Wrote 9 blog posts for startup eventually purchased by Facebook for roughly $150M. Popletters (“open letter” app). Retained to amplify reach for bootstrapped site with just 120 Facebook fans. Within 2 weeks after implementing my recommendations, this grew to 800 and then on to over 130K. myTafi (consumer financial planning site). Conducted usability and content enhancements to website. Triangulate/Wings (Facebook dating app). Hired by Trinity Ventures-backed startup for 2-week engagement; I obtained 5% registration conversion from event attendees at no cost; engaged leading content publishers for demographic: Sugar Inc. (12M uniques) and BettyConfidential (2M uniques), and NYT bestselling dating coach. Geo-Loco and Social-Loco Conferences. Promoted, attracted speaker and sponsors, and managed logistics for flagship event attracting 365 investors, entrepreneurs, brands & agencies and coverage from BusinessWeek, USA Today, Huffington Post, TechCrunch and GigaOM (July 2010). Successor event doubled attendees & obtained coverage from above + Bloomberg, CNET, CBS (May 2011). Planning Committee member for bi-annual TEDxSF conference (2010 – 2011). Managed all PR including featured coverage from The Huffington Post, an Op Ed in The San Francisco Chronicle, feature story in the San Francisco Business Times, and mention in “The Decision Tree” by Wired editor Thomas Goetz (Rodale Books, February 2010). Led re-architecture and redesign for website and client report. Drove institutional partnerships with laboratories and corporations including Safeway and Kaiser. Writing, branding and messaging. Oversaw quarterly content and distribution of executive messaging to managers for 1,000-person technical organization. Crafted executive presentations, business cases, speeches, emails and other high-level communications for both internal and external audiences. Public relations. Oversaw annual Computerworld’s “100 Best Places To Work in IT” survey in 2007, spearheading rise from #97 to #53 in 1 year. Developed all related collateral and advertising with agency. Positioned firm as technology innovator to various media. Field marketing. Served as end-user advocate by launching and overseeing partnership with field user group to provide extensive input on product features through surveys and usability testing. Product & project management. Worked with cross-functional team to drive features & enhancements for trading platform used by ~500 investment advisors and consumers. Joined firm as part of MBA rotational leadership program. Obtained NASD Series 7 license. Developed and presented strategy to drive adoption of thin-client workstations for MBA internship. Sourced, interviewed & recommended C-level candidates for startups & investors. Clients included Netscape and Tivo. Recruited by cutting-edge 3D virtual world startup to obtain strategic partnerships and investments from corporate partners. Played key role to secure $5M investment from two Japanese conglomerates. Conducted business development and account management for venture capital and international business development firm focusing on Japan and Korea. Advisor & Judge, Women Who Tech (2015 – present); Board Member for Ravenswood Youth Athletic Association (9/10 – present), Association of Women MBAs (2003 – 2005). Chair, Partners in Hope (2000 – 2002). Coro Northern California Community Fellow. Public policy leadership program (Fall 2002). I came across you on Twitter and I wanted to reach out. I currently manage Communications for Creative Commons and I wanted to ask if you had time to chat with me about your career. I don’t believe we ever crossed paths at Mozilla, but I worked there from 2013-2014 on the Community Building team. Absolutely no obligation, but I’m interested in your bio, including the Coro program and your communications experience. As a woman on the edge of tech, it’s helpful to me to hear from people who have taken a complementary journey, particularly in the public sector. I’m attaching my website bio to this email so you can learn more about me. I look forward to hearing from you soon! I just emailed you – thanks so much for reaching out!